If you were challenged to visit seven European countries in seven days, you might well laugh, as it does sound a little crazy. However, would this be impossible? No, of course not. Although the larger, more popular countries may first come to mind, Europe has a lot more to offer, with many different cultures to explore. 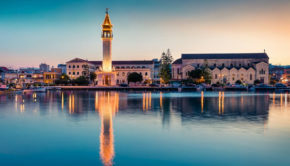 So, you can experience seven different European nations in just seven days by hopping from one small country to the next. 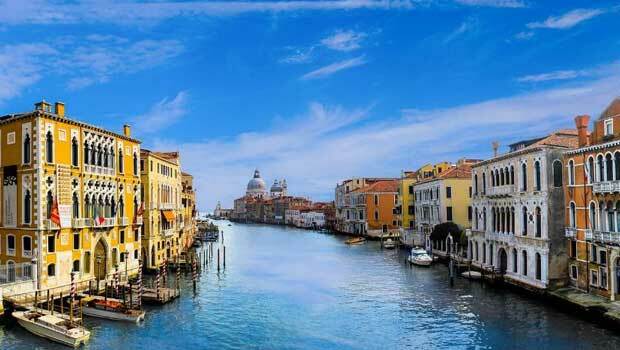 Venice is one of the most famous and well visited European cities, but it’s small enough to see in just one day. 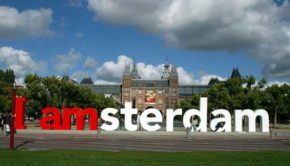 For instance, you can walk from one tourist attraction to the next if you wish, because most of the city’s renowned sights are within walking distance of each other. So, what can you do in Venice? A gondola ride is extremely popular with visitors, while you can also stop at Doge’s Palace for a bit of a history lesson, before taking a walk across the world famous Rialto Bridge. Another must-see sight is St Mark’s Cathedral (and accompanying Tower). Prior to leaving, be sure to try some delicious gelato. 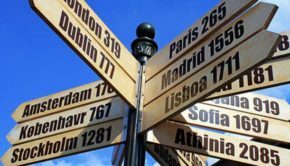 So, where should you go next? How about a country that’s only an hour and a half away by train? With approximately 61 square kilometres of land and a population of just 32,000, San Marino is a tiny country, but picturesque by every standard. 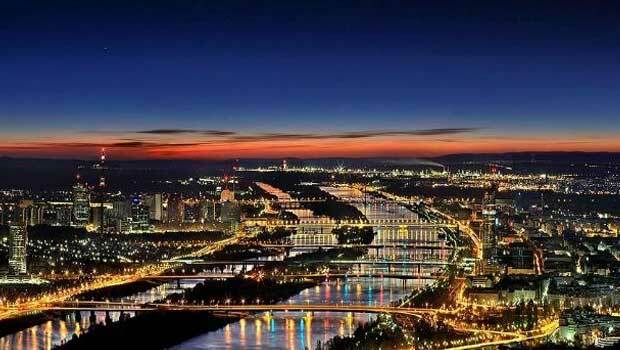 It’s an impressive place that offers spectacular views and a rich culture. Two attractions considered ‘must sees’ are Mount Titano and the Old Town, both of which are UNESCO World Heritage Sites. 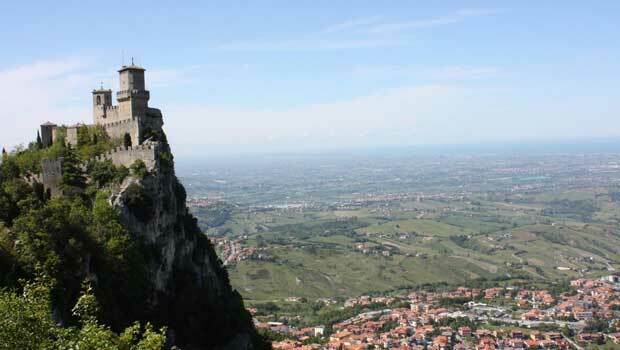 From the top of Mount Titano, three towers dominate San Marino. Be sure to see them all, as the views are simply breathtaking. If you’re a fan of interesting artefacts, visit the macabre Torture Museum, where you’ll find over a hundred instruments of pain and death. The Basilica is another great place to see, but you’ll need to be appropriately dressed, with your shoulders covered at the very least. Travel tip: arrive in Venice early in the morning, so you can spend the day in San Marino and return to Venice to explore the city at night, when most of the day-trippers have left. 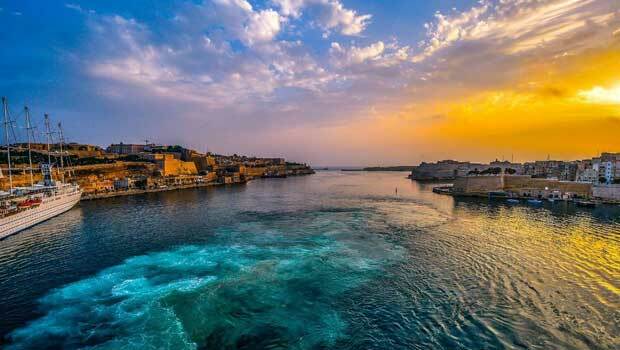 Malta is another European gem that’s often overlooked. It’s rich in culture, architecture and history and is home to some of the world’s oldest megalithic temples. You can do just about anything in Malta, from lounging on the beach all day to museum-hopping. Whatever you choose, be sure to check out the fortress of Mdina for its sweeping views. The architectural landscape at Balluta Bay is also splendid, while a walk through the charming capital of Valetta will be a stroll to remember. If you’re coming from Venice, Malta is less than two hours by air. When you’ve seen the sights of Malta, catch an 85-minute flight to Ciampino Airport in Rome, which is only eight miles from The Vatican. Don’t let the size of the country fool you; there’s more than enough to keep you busy for the entire day. 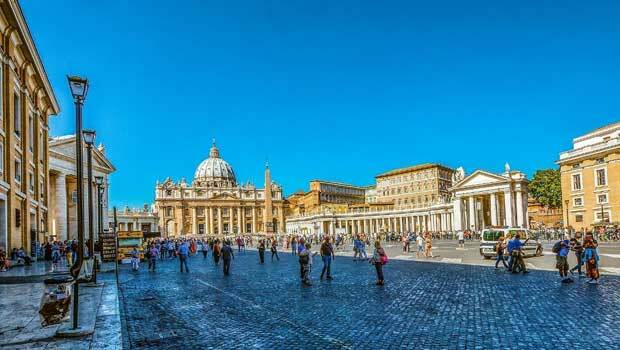 While there are a good number of attractions to enjoy, make sure you don’t miss Michelangelo’s Pieta, Saint Peter’s Dome and Vatican Gardens. So, where to go next? Travel tip: to avoid wasting time on long queues for the Vatican, be sure to book ahead for absolutely everything! Austria is by no means a small country, but Vienna is definitely worth the stop, and you should be able to experience some of the magic of this musical city in under a day. Vienna is roughly an hour and 45 minutes from Rome by air. Some of the attractions to see include Schönbrunn Palace, Museum Quartier, Mozart House, Hofburg Palace (where the Spanish Riding School is located), Rathaus and the Vienna State Opera. Vienna’s Museum Quartier is one of our favourites, as it’s one of the world’s most expansive art and culture complexes. We recommend planning your itinerary so that it allows you to take in a musical performance in the city. You certainly can’t separate this majestic city from its music! 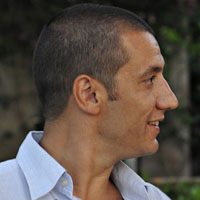 Travel tip: hopping from one country to another within such a short period can bring its own share of surprises. 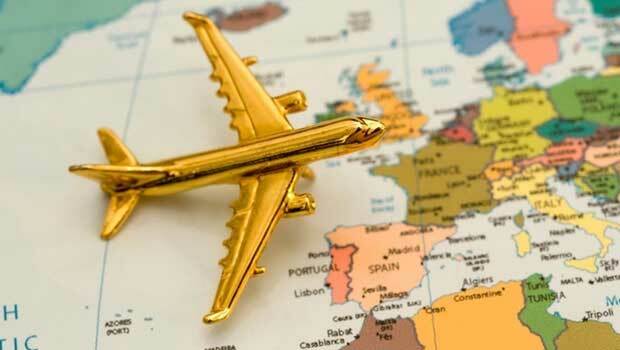 Make sure you are covered with travel insurance and don’t be caught off guard. If you are flying with Air New Zealand, you can secure reliable travel insurance when you book your flights. Nestled between Switzerland and Austria, this tiny country features a host of breathtaking alpine panoramas. While Lichtenstein is terrific for winter sports, it’s also a lovely place in the summer. It’s not as expensive as Austria or Switzerland and there are many options for hiking and biking. If you’re not interested in sweating too much though, you can take a scenic drive through the mountains. 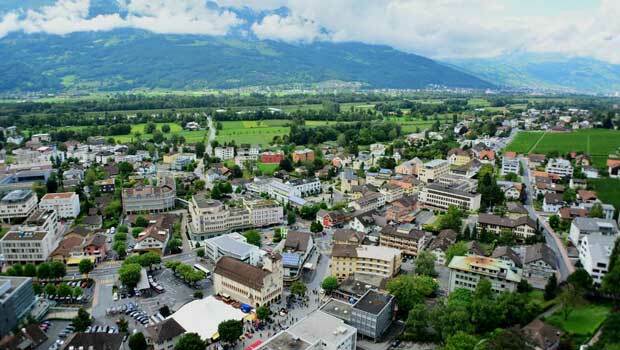 We recommend seeing the capital city, Vaduz, where you can easily walk from one attraction to the next, as most of the major sights are close to one another. These include Kunstmuseum, Peter-Kaiser-Platz Square, Vaduz Cathedra and Vaduz Castle. Other attractions outside the capital city include the Triesenberg Mountains and Burg Gutenberg in Balzers. There’s so much to do in Zurich that on leaving you might feel like you didn’t do as much as you should have. Instead, you might want to consider Lucerne as an alternative. This unique city is one of the oldest in the country and makes for an enchanting visit. While you’re there, be sure to visit Lucerne City Centre, the Lion of Lucerne monument and the Farmers’ Market, along the Reuss river bank. 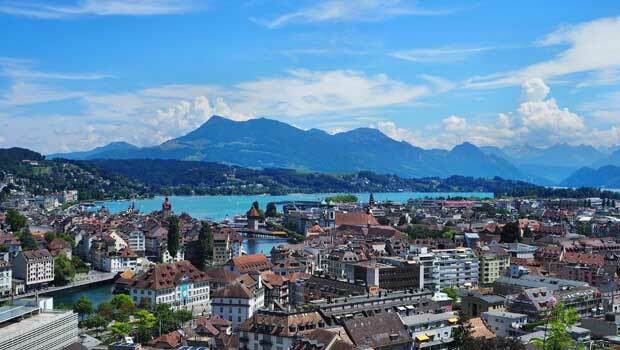 We also suggest wandering through the charming medieval Old Town of Lucerne and crossing the Chapel Bridge. 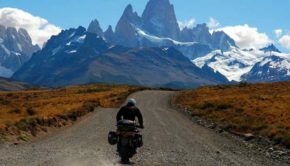 You can arrange your itinerary however you please, but the key is to ensure that you can easily move between countries and spend as little time as possible on the road or in the air. After all, travelling is about the sights to be seen, rather than the time spent in transit.